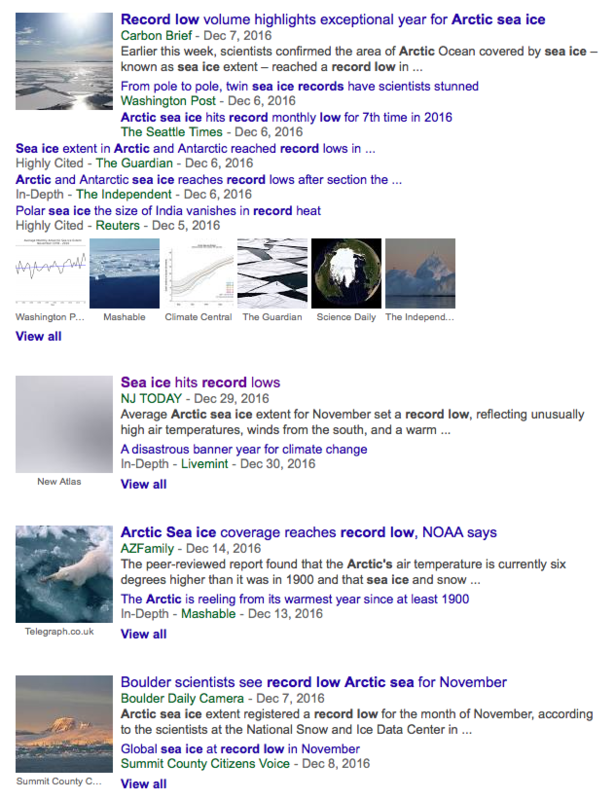 The news is full of stories about Arctic sea ice being at a “record low” and the Arctic being “super-hot.” These stories were planted by fraudsters working at government funded agencies, and happily parroted by fake news journalists. As with everything else coming out of the Obama White House, the story is nothing but fake news. 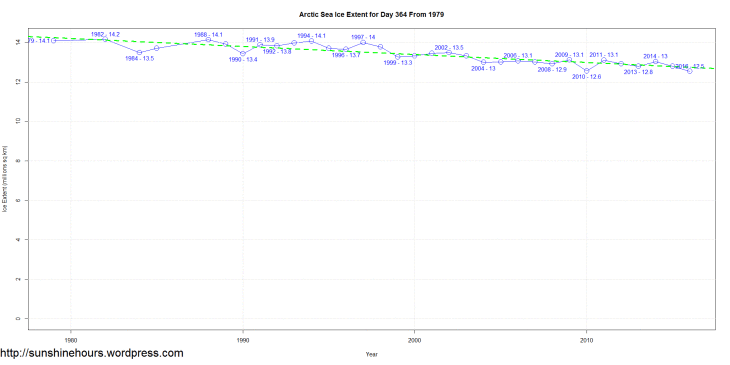 Arctic sea ice extent and volume is identical to what it has been in all recent years. 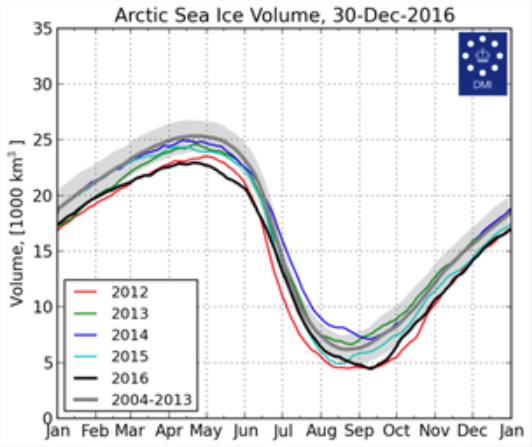 There has been a massive expansion of Arctic sea ice over the past week, because the Arctic is very cold. Yes. 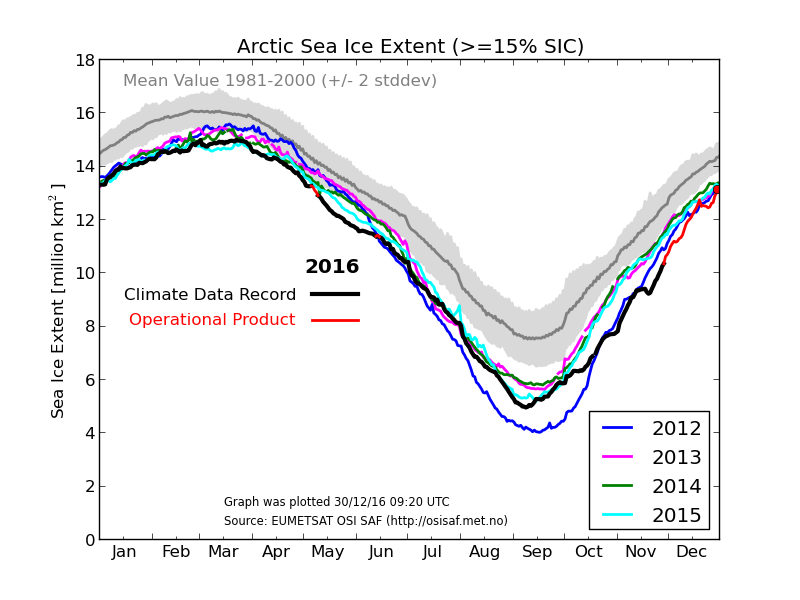 Arctic is now just 7.6% below the mean. 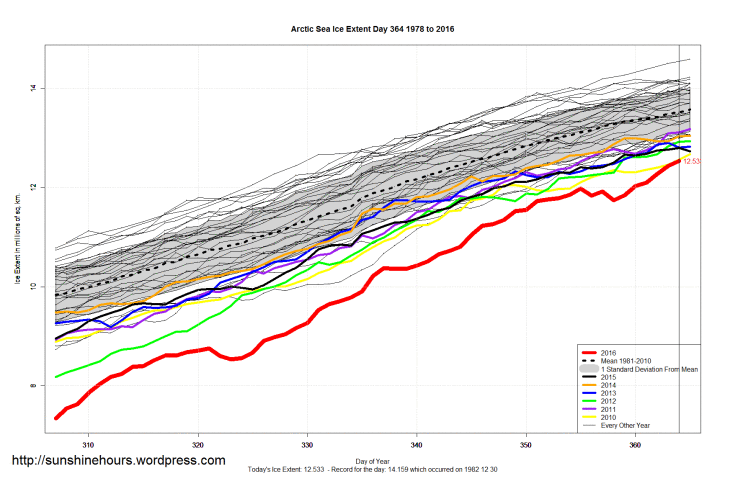 No one, except Tony bothers to mention it is the THICKNESS of the ice that matters in the summer and that is what is increasing in the Arctic. 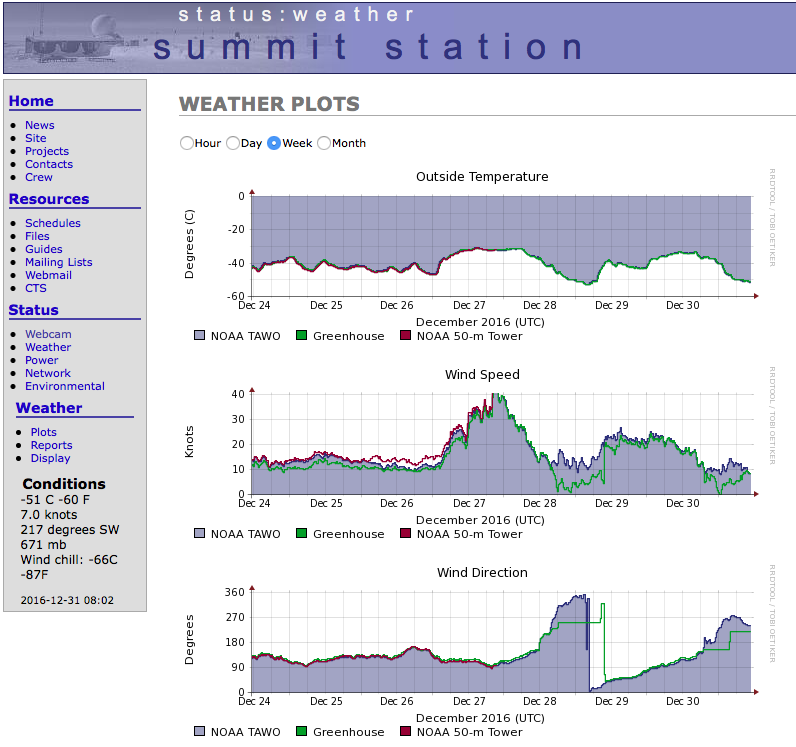 ‘Warmer air’ over the arctic means more moist air over the arctic which means more snow which means MORE ICE. The “operational product” curve is looking ultra-bogus. Is there some lab independent from political pressure doing the same kind of measurements ?